A photograph of MP Navdeep Bains with a director of the company that sold 20 acres of land to Brampton for $1 million more than the city was originally going to pay, prompted pointed questions in the House of Commons Monday. "The City of Brampton asked the RCMP to investigate a troubling situation. Two Liberal members, including the minister of innovation [Bains], were privy to confidential information about the price the city had offered the Ontario government for a land purchase. What happened, Mr. Speaker?” Quebec MP Alain Rayes asked. “A private company bought the land and flipped it for a tidy profit. So my question to the minister is simple: What is his connection to the directors of that company?" 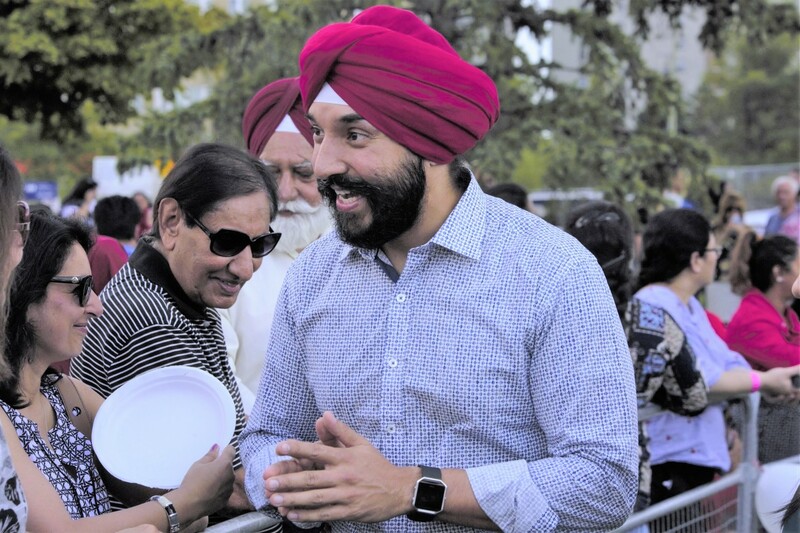 Bains received confidential details about the Brampton land, including the negotiated price, last year from the former mayor’s chief of staff. 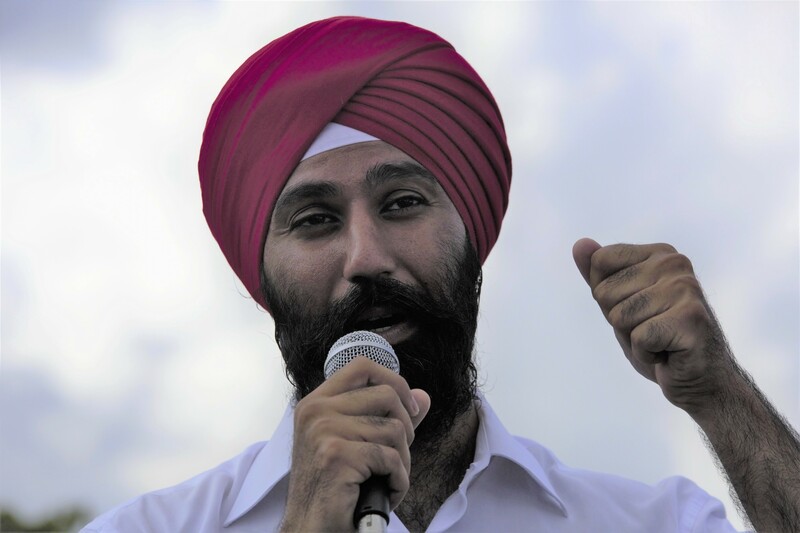 So did Brampton MP Raj Grewal, whose gambling problems, which reportedly led to an RCMP probe, prompted city council to forward the results of a third-party investigation into the land transaction to the RCMP last week. Bains has steadfastly denied any connection to the deal. Any suggestion that he shared information with the group of investors is “categorically false,” Bains responded in question period, challenging Rayes to make his insinuation outside the House of Commons, where he is protected by parliamentary privilege. Bains did not respond. Instead, House Leader Bardish Chagger essentially repeated what Bains said. “All reports suggesting that the minister committed some kind of wrongdoing are false, and if the member has the courage of his convictions, he should repeat those remarks outside the House,” she said. It was the second time in four days that the land deal for the Goreway Bridge project has come up in Parliament, with Bains facing tough questions from Opposition MPs about any possible connection to Goreway Heaven Inc., the company that sold the city the land. The Pointer reported last week that the city had hired a forensic investigation firm to probe what happened after its negotiations to buy the land for about $3.3 million from the province, which originally owned the land, fell through. Soon after that, Goreway Heaven bought it for about the same price, then flipped it back to the municipality months later for about $4.4 million, at a profit of about $1 million. Sources told The Pointer former mayor Linda Jeffrey’s chief of staff, Hasneet Singh Punia, had sent confidential details of the original negotiation to Grewal and Bains, who is the minister of innovation, science and economic development. Punia has not responded to The Pointer, but his spokesperson has told media that Punia did not leak the report and shared it with the MPs as part of a routine practice, to advocate for possible federal funding for the project. In a statement released over the weekend, Goreway Heaven Inc. denied any wrongdoing in the deal. Bains also issued a statement on his Facebook page, strongly condemning any suggestion he had passed on information about the negotiations. After initially announcing on Nov. 22 that he would resign in the House of Commons due to “personal and medical issues”—later revealed to be a gambling problem that had plunged him millions of dollars into debt—said he has now paid back his debts and is reconsidering his decision to resign. No documents were ever filed to make his resignation official, and he is still listed as an MP on the government’s website.